At the end of 2015 Belarus published a new energy security concept according to which it remains a country with a critical level of energy dependence. 90 per cent of Belarusian energy imports come from a single supplier – Russia. Moreover, a third of export revenue is traditionally generated by refining Russian oil. The authorities prefer to retain the status-quo as an easier and conflictless strategy, but the need to strengthen statehood will sooner or later require a solution to this deep problem. As the newly published Concept notes, Belarus has a critical level of dependence in most aspects of its energy security. Currently, 90 per cent of imports of all energy resources come from Russia. Moreover, Russian natural gas accounts for 90 per cent of heat and electric energy production. The growth of energy independence and diversification of suppliers should become a strategic goal for the government in the coming years. The new Concept sets concrete goals up until 2035. 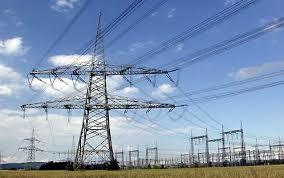 Belarus plans to reduce the share of Russia in its energy imports from 90 per cent to 70 per cent. Most strikingly, the government plans to reduce the share of gas in production of electric and heat energy from the current 90 per cent to 50 per cent. Another related problem the authorities will have to deal with is high energy consumption in the economy. The heavy industries built in the USSR consume huge amounts of energy, and many of them work on decades-old, outdated technologies. For example, Hrodna Azot, a chemical industry enterprise, consumes 10 per cent of all imported gas. Apart from high energy consumption, these demand large state subsidies and demonstrate low economic efficiency. Reform of these industrial giants would resolve a whole bunch of problems, but the government seems unwilling to do that due to high social costs. Belarusian citizens will also have to change their energy usage habits. The population has for a long time enjoyed discounted prices on public utilities for home use, including energy, as a part of the government's social policy. While an average Pole or Lithuanian has to pay $160-170 for communal services, Belarusians currently pay only around $40. This has caused much criticism from market reform advocates and international creditors of Belarus. Finally, the government has agreed to reform this sector and citizens are seeing their bills grow constantly. In the last decade oil products have accounted for a third of Belarusian exports and brought in up to $16bn of revenue annually. Together with potash, oil products filled the Belarusian budget, allowing the government to keep a tight grip on the economy without introducing reforms, and preserving the loyalty of citizens. Russia, of course, remains the cheapest and most profitable option for Belarusian oil refineries located in Mazyr and Navapolack. At times of economic tension, Belarus has in the past attempted to threaten Russia with turning to alternative sources of oil. In 2010-2011 Minsk shipped oil from Venezuela and Azerbaijana decision that had no economic grounds but brought political results eventually, as Russia returned to more favourable contract terms with Belarus. However, the Belarusian oil business now faces a number of challenges. Belarus as a member of the Eurasian Economic Union (EEU) remains in an unfavourable position as regards oil consumption. The single market of energy resources in the EEU will come into force only in 2025, a condition that Russia insists on and Belarus strongly opposes. More fundamentally though, the sector itself presents a bigger problem for Belarus. Reliance on Russian oil as a major export commodity means backwardness in other sectors, dependence on oil price jumps and of course the supplier. The current drop in oil prices and subsequent economic decline present a good lesson for the Belarusian leadership, but will they learn from it? Will nuclear power plant increase energy independence? In the early 2010s a new nuclear power plant (NPP) was proclaimed as the hope of the Belarusian energy sector. It is intended to cover a quarter of the country's energy needs, with its first reactor to be launched in 2018. However, the case for energy independence in this instance looks doubtful, as Russia remains the key actor at all stages of the project's implementation. Russia provides its design, supplies its most important components, as well as the nuclear fuel. Finally, the whole project is financed by a $10bn Russian loan. An expert from the Institute of Energy at the National Academy of Sciences who wanted to remain anonymous told Belarus Digest that Belarus can in fact purchase uranium elsewhere, but the issue of utilisation of exhausted fuel will remain nevertheless. Besides, the NPP is located only 55km away from the Lithuanian capital Vilnius. This poses a number of other security threats which the Belarusian authorities prefer not to talk about. Lithuanian officials and NGOs have been criticising Belarus since the project's inception, saying that Belarusians have not properly assessed the environmental impact of the NPP and do not want their neighbours to get involved. Belarusians never witnessed a real public debate on the NPP, rather ridiculous for a nation that suffered dramatically from the Chernobyl disaster. Yet the plant may in the end prove to be the lesser of two evils compared to gas and oil dependence. Can Belarus become energy independent? Belarus remains trapped in energy dependence primarily because of the inertia of its leadership, who are scared to change the status-quo and implement sector reforms. High revenues from oil could be used to develop alternative and local energy resources, which Belarus uses to a minor extent. Belarus has natural resources which have fine energy potential: rivers, woods, swamps and biomass. Alternative and green energy is the area where the European Union has vast experience and will be eager to assist in both expertise and financing. For example, the EU has allocated €8m for local development projects in 2014-2017, where energy is a priority area. Belarus could receive many more funds for green energy were it to demonstrate real interest in cooperation in this area. Large enterprises with old energy-consuming technologies should be reformed and replaced by an economy based on small and medium business, the service sector and IT. In the long run, this would not only reduce energy consumption, but would also change the structure of budget revenues and dependence on oil refineries. Energy efficiency, which the authorities like to talk about but fail to introduce, should become a technical standard in all spheres, from construction and transport to agriculture. 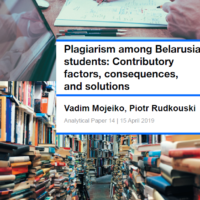 Last but not least, Belarusians should learn how to save energy – something they had no need to know about in the state-run economy. Raising energy prices to market levels should be accompanied by comprehensive education programmes to teach the population how to live in a new energy reality. Following the full-scale fragmentation after the 2015 presidential election campaign, the Belarusian opposition is starting to unite. Tatsiana Karatkevich, currently quite popular in polls, is rounding up her supporters to enter the 2016 parliamentary elections. Centre-right parties have formed a coalition. Street protests leader Mikola Statkevich is trying to gather other opposition groups around the idea of a new congress that is supposed to lay down a new united strategy. However, mistrust among leaders, a lack of human resources, political apathy among the population and the evident strength of the Belarusian authoritarian regime still undermine the prospect of success for the opposition in the foreseeable future. The Tell the Truth campaign represents the "moderate" camp of the opposition. It is headed by two young politicians – Tatsiana Karatkevich, a presidential candidate in the October 2015-elections, and political strategist Andrey Dmitrieu. Karatkevich, through the use of a mild political style, gained considerable support during the elections. A poll by the Independent Institute for Socio-Economic and Political Studies (IISEPS) conducted in October after the presidential elections placed her second after Lukashenka in terms of popularity, with 22% of votes. Among all Belarusians (including those who abstained from voting in the elections) she enjoyed a 16% approval rating. The deeper IISEPS analysis showed that Karatkevich attracts the support of many people from moderate groups of society who had refrained from supporting the opposition beforehand. Immediately after the elections Karatkevich and Dmitrieu announced that they were preparing for the 2016 parliamentary elections campaign. They called upon all like-minded people to sign up to their candidate nomination list titled "TaK. For Peaceful Changes" ("tak" – is the Belarusian word for "yes", and is also the acronym of the first letters of Tatsiana Karatkevich's name). Their political activity so far has included a series of meetings with the heads of Belarusian parliamentary committees, where Dmitrieu and Karatkevich discussed and lobbied their "peaceful changes" plan. They also took a number of trips to the regions, evidently, to mobilise their local activists. They have become more and more active in the media, publishing statements on urgent topics like the ruble devaluation and showing up at various public fora (like those of entrepreneurs or economists) to announce their reform agenda. Other opposition leaders have distanced themselves from this movement. Many view Karatkevich and Dmitrieu as loyal to the regime, or sometimes as a KGB project. For long enough the Belarusian opposition has failed to unite on an ideological basis. In December 2015 leaders of the United Civil Party, Belarusian Christian Democracy and the For Freedom movement established a centre-right coalition. A fourth party, the Belarusian People's Front, has said it is ready to coordinate its actions with the coalition but does not want to fully join it. It is worth noting that the unification was supervised by European Parliament bloc the European People's Party (EPP). The EPP had earlier recognised these opposition structures as partners. At first glance, such foreign backing gives the coalition a dubious image of an artificially created Brussels' project. On the other hand, having an influential curator in the European Parliament implies a certain degree of trust in the West. This may serve as a stabiliser for the coalition, because failure to stay united may irritate important Western partners. The coalition has announced that it will take part in the parliamentary campaign, launch a united election observation programme, promote a European trajectory and market reforms and fight for free elections. So far, the leaders of the coalition have visited several regions of Belarus to introduce their ideas to local officials and private entrepreneurs at markets. Former No1 political prisoner Mikola Statkevich, known for his uncompromising stand and bravery during four and a half years in custody, became an icon for certain opposition fractions. This background together with his personal charisma has made him a leader for those activists and movements who view street protests as, ultimately, the only feasible regime change tactic. Statkevich organised six unauthorised rallies in the centre of Minsk before and after last year's presidential elections. Currently he is organising an opposition congress. The idea is to gather activists from all over Belarus to determine a united strategy for the opposition and to put forward democratisation requirements to the authorities. When they are ignored, as anticipated, Statkevich proposes to prepare street protests. In 2005 the congress format enabled the opposition to field united presidential candidate Aliaksandr Milinkevich. Since then all attempts to use the congress as a uniting strategy have failed. That is why this time the Statkevich proposal was met with very limited enthusiasm. Statkevich has managed to get support from some well-known figures: two former presidential candidates – poet Uladzimir Nekliaeu and political exile Andrei Sannikau, trade-union leader Henadz' Fedynich, co-chair of the right-wing Young Front Zmicier Daschkevich and several other activists. However, except for Sannikau who controls popular opposition website Charter'97, the others lack serious structures behind them. Statkevich reached out to the rest of the opposition for support of his idea, with the exception of Tell the Truth and the leftist Just World party, whom he has called "KGBists" and "communists" respectively. The others, including the centre-right coalition, are still considering Statkevich's proposal and have promised to respond soon. 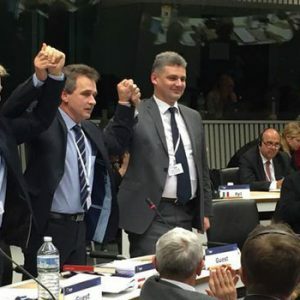 The ad hoc coordination of efforts between the Statkevich camp and the centre-right coalition seems possible: they share a common agenda, electorate and, to a certain degree, political tactics. However, personal mistrust among the leaders will most likely stand in the way of a considerable unification. As for the Tell the Truth campaign, it seem neither able nor willing to cooperate with the rest of the opposition. It is trying to gain the support of a so-called "new majority", median electorate that supports neither the government nor the traditional opposition. Affiliation with the latter can only be a problem in this regard. The moderate Tell the Truth campaign can hope to be granted some seats in parliament on the wave of the Belarusian-European thaw in relations, but this scenario also remains unlikely. Lukashenka will choose other concessions, like cosmetic changes in election or media law, rather than sacrificing the political sterility of his parliament.